Here is a link to the Old Market Website, I thought that they would of come up with a more modern attractive name other than 'Old Market' and I was expecting new modern glass fronted buildings, but it looks like it's mainly bricks..
Why on earth has nobody had the sense to built a glass roofed 'footbridge' from the new 'Old Market' complex over the main road directly into Maylord Orchards or somewhere near Tesco's? Thus having the best of both worlds and connecting the City Centre, instead of possibly isolating it. (This is what they have done at Cabot Circus in Bristol and it works perfectly) This would also be safer for pedestrians, and would also not interfere with the traffic flow by having pedestrian lights stopping the traffic. More importantly, why on earth has nobody had the sense to built a glass roofed 'footbridge' from the new 'Old Market' complex over the main road directly into Maylord Orchards? Thus having the best of both worlds and connecting the City Centre, instead of possibly isolating it. (This is what they have done at Cabot Circus in Bristol and it works perfectly) This would also be safer for pedestrians, and would also not interfere with the traffic flow by having pedestrian lights stopping the traffic. This is being discussed now on our website www.herefordvoice.co.uk why not join in the debate! I'm not sure if I like the roof yet, it reeks of "Old Market" not new. I can't make up my mind if it's just poor design or the architect/s keeping some of the old market in - as it so clearly resembles the old cattle buildings that were knocked down with it's |\|\|\ shape. Why on earth has nobody had the sense to built a glass roofed 'footbridge' from the new 'Old Market' complex over the main road directly into Maylord Orchards? Thus having the best of both worlds and connecting the City Centre, instead of possibly isolating it. (This is what they have done at Cabot Circus in Bristol and it works perfectly) This would also be safer for pedestrians, and would also not interfere with the traffic flow by having pedestrian lights stopping the traffic. I actually put the suggestion forward for a covered footbridge at the council meeting in April, I also wrote in the press where I received many responses agreeing with me, unfortunately when I put it to the full council meeting my suggestion was IGNORED!!! I also feel the shopping centre should be called Hereford Bull shopping centre after all our bull is known the world over.Also put the bull from High Town in the entrance to the centre. Good letter Colin, lets hope that the ht prints it next week. Frank, the bridge was first brought up when councillors first saw the designs which was in 2011, it has been brought up at council meetings by other councillors and myself ever since, as I said the suggestion/requests for a bridge instead of a pedestrian crossing has been ignored, so if they dont take any notice of the councillors they will not take notice of the general public!! Surely the OLM development is offset from Maylords? Unless you were thinking off running it diagonally - that would be some sort of bridge. 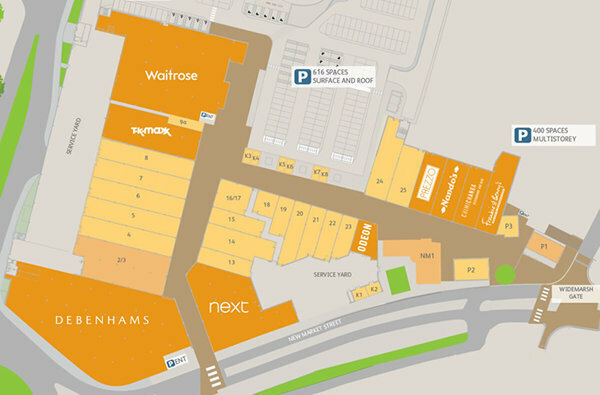 Developers won't be interested - why give shoppers a route away from their shops to someone else's? Remember this is a private development - the council lost all control once they'd sold the land for a bag of peanuts and some loose change (rather than its original valuation of Â£30m). Sadly, TwoWheels is right, this is entirely about directing whatever spending power we have left in this bereft of hope City, toward the new development. There, we'll spend our deminishing funds, we'll sit there in our new cinema muttering, 'thank God we lived to see this lovely cinema', and our money will leave the City, it'll be spent far away from our economy and little of the wages earned will be spent here and recycled within our own economy. That's pretty much the scenario that our economic model will take us. Shortsighted, opportunistic, economic madness and our only consolation will be, we can sit inside a cinema and contemplate when we can next see the kids who moved away long ago because they couldn't build a future on 19k a year salary because the Council, the big payers, were no longer recruiting. They had the opportunity to build a footbridge when Maylord's and the multi-storey car park were built, so what was the excuse back then? Poor planning! This should of been part of the planning conditions/agreement for the new Old Market development, no wonder the retailers in the City Centre are fed up! I still think it should be considered and I will be doing all I can to draw attention to this simple compromise with existing traders and connecting the two. The multi-storey was built mainly for Maylord Orchards, this car park now serves both, so I cannot see what the problem is to be honest. A glass roofed footbridge directly from the multi-storey car park. A subway from Widemarsh street to the OLM would be nice. To be honest Colin, I said it many times on HT before I was executed... it has become absolutely clear that the council had planned to scrap the city centre from the start. When you weigh up the evidence it's clear to see that they never had any intention of renovating the center, they wanted to shift the center and start again from scratch. First there was the Left Bank / Riverside, plans put forward to renovate, project scrapped. River Island burnt down, city center - site is still under construction (3?) years later. The Crystal Rooms closed down. Lay dormant for several years. Now occupied by a small beauty salon. If it's not on the OLM side of town, they've left you to the dogs. Obviously Horrorford is no major city like Cardiff, so I wouldn't expect the place to look like Central London or Newcastles Metro Centre - unfortunately, that's what the HC are trying to mimic. 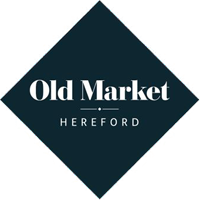 It just comes back to the same thing again, the HC have scrapped Hereford to start again with glass rather than renovate and build on the features of the city. But the HC don't care about building business here, they'd rather buy in prefab businesses from other countries. Wholeheartedly agree with you Colin. Not surprised but sad Glenda was ignored again when she asked at a council meeting about a safe way to access the concrete monstrosity. Why are pedestrians not considered? The day the McAlpine barriers went up round Edgar Street and Newmarket Street to protect the precious development and take the pavement away from human beings, I was astounded. No signs have been placed to help the poor pedestrian who wants to go from Edgar Street into Newmarket Street - they are on their own. The pedestrian crossing was closed - full stop. What council leader would agree to let developers take away the safety of the pavement from their residents? Hereford's would -or rather the descriptive "Horrorford" as per Biomech. I have started writing formal complaints directly to the highways and planning department. I don't expect to receive a positive reaction from the planning department but will give them a chance. The complaints are logged and don't look good. Otherwise it will be elections time in 2015. I always vote and have a very good memory. Wholeheartedly agree with magicroundabout. However, its nothing to do with planning as such - the highways dept have responsibility for our safety on road and pavement. Oh wait - that was Amey, now Balfour Butter ... but the Council do have half a dozen staff - the ridiculously nomenclatured 'client side' - who are supposed to call the shots to the 'preferred partner' - suggest you email boss Clive Hall direct with your/our concerns cwhall@herefordshire.gov.uk and update us on any response. I have had a re-think about this footbridge idea and I still think they could of built some sort of enclosed footbridge, okay maybe not into Maylord Orchards from the multi storey maybe that was a bit ambitious but certainly over the main road somewhere towards Tesco, there is land for sale at the back of Saxty's or at least there was near the bowling green, that would of at least connected the two shopping centre's, I do not think that the cost would of been massive and as for the Hereford City Wall and English Heritage never allowing it, I do not think they would of objected too much because they allowed this little lot. But the traffic wouldn't have to stop if we had shared space Colin. What is going to make the Widemarsh Gateway complicated to cross will be traffic turning right out Tesco and traffic turning right from Blueschool Street to go up Widemarsh Street The addition of these 2 extra turnings will only add more traffic lights!! I am with you Martin and I am sure you have seen our campaign Hereford Reunited No Lights Equal Rights but still think a footbridge would also help. Much was made during the selling of this proposal to the masses of 'connectivity' between old and new, with big arrows on drawings to link Eign Gate and Bewell Street with the OLM - and much more as outlined in the 2007 Edgar Street Grid Design Framework Supplementary Planning Document, against which the application should have been determined. Yet, somehow, all we've ended up with is a typically crass highway engineers solution - pedestrian cattle pens to herd pedestrians across a dual carriageway where the subway was, and not much else.